Congratulations to Donna Tartt, winner of this year’s Pulitzer for fiction. Ms. Tartt is the author of The Goldfinch, a 700-plus page epic about a boy who loses his mother at age 13 in a bomb explosion and weaves his way to adulthood while clinging to a mysterious painting that reminds him of her. The book has already received lavish praise and reviews from critics and was on various bestseller lists throughout the year. This is Tartt’s third book and took her eleven years to write. In January of this year, crowds of visitors to the Frick Museum in New York braved the cold to stand in line for an exhibit of paintings by Dutch masters. The museum anticipated that the main attraction would be Vermeer’s “Girl With a Pearl Earring,” the subject of a book and movie in 2003 starring Scarlett Johansson. 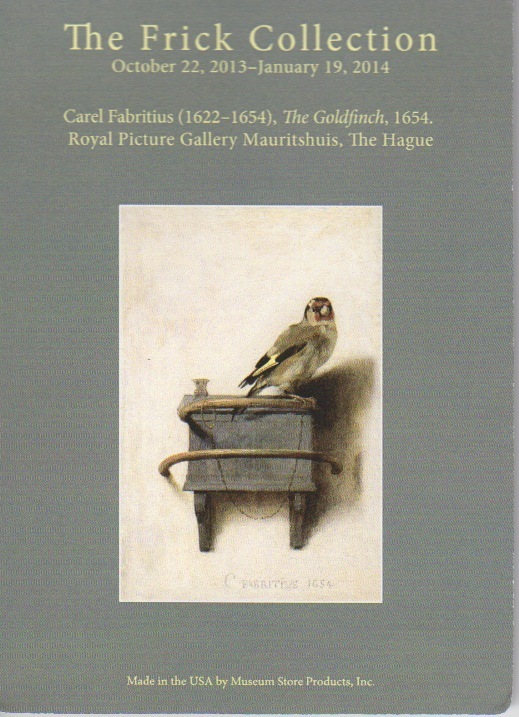 However, the lines formed to see The Goldfinch, a painting by Carel Fabritius, dating to 1654, that was the centerpiece of Tartt’s book.